Is your production flourishing or failing? One of the key factors in having a successful manufacturing operation is keeping organized, so if you feel there are any issues at all with your shop floor, this is a great place to start. There are many reasons to research Production Data Management (PDM), but these Top 3 Reasons are key: it helps you go paperless, it can make your job easier, and it can help you rest assured that you are following the law, as a manufacturing operation. Has your shop floor been affected by the manufacturing skills gap, or do you wish you knew more about your industry? If so, you should definitely look into investing in Edge Factor. Edge Factor, which can be described as a Netflix-style video program for the manufacturing industry, is a new asset to this community. It is being used to bring new interest into the American manufacturing industry, and it’s also great for those already in the industry to learn more about it. Have you ever wished that you could make your CNC machine wireless, but thought it was out of your price range? 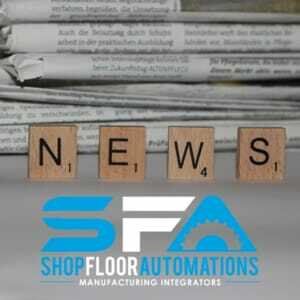 It may be easier than you think to take a step forward in technology for your shop floor. The Wi-Fi USB Connect will help you transmit data from an old machine in your shop wirelessly. It adds Wi-Fi to the machine via a USB port, allowing it connect wirelessly to a shared folder. As long as the machine in question has a USB port, you are good to go! The best part – you don’t need to drop thousands of dollars or take part in a complicated install process. For more information on any of the topics above, call (877) 611-5825 or fill out an inquiry form here. Link to original newsletter here.